Allergies can wreak havoc on your system, causing symptoms from watery or itchy eyes to coughing, congestion and possibly even a rash. While they’ve become synonymous with spring, allergies can actually be seasonal or year-round, depending on your trigger. The first step to controlling your bothersome symptoms is figuring out what you’re allergic to. You can narrow it down by taking note of your symptoms and their patterns. Then you can work to avoid the allergen. Below are tips to reduce both seasonal and year-round environmental allergens, including dust mites, mold, animal dander and pollens. Remove heavy drapes, upholstered furniture and stuffed animals that are likely to collect dust. Use a zippered, plastic air-tight cover on all pillows and mattresses. At least every 14 days, wash all bedding and stuffed animals in hot water and dry on hot setting. Avoid damp basements or water-damaged areas of your home and fix water leaks to prevent mold exposure. Clean moldy surfaces with a diluted solution of bleach. If a larger-scale mold exposure is suspected, you should seek professional assistance with mold removal. If possible, remove all carpets. Vacuum as frequently as possible using a HEPA (high-efficiency particulate air) filter vacuum. Avoid the use of ceiling fans. Prior to use, make sure to clean any collected dust from the surface of the fan blades. During the height of allergy season, keep windows closed, avoid exposure to pollens and limit outdoor activities when pollen counts are highest. Early morning for spring time tree pollens. Afternoon and early evening for summer grasses. In the middle of the day for ragweed in the fall. Consider using a HEPA filter to control airborne allergens (these only work if what you are allergic to is airborne, which doesn’t include dust mites and mold). Change the filters frequently per the manufacturer’s guide. You can also purchase HEPA home-air filters for use in your air conditioner. Since dust mites and mold increase in high humidity, keep indoor humidity low. Provide a smoke-free environment for yourself and any children. Cockroaches and rodents are also causes of allergies; if you suspect an infestation, make sure to clean your home frequently and thoroughly, store away food in secure containers, keep garbage outside and repair holes in the walls, floors, doors, etc. Also, seek the help of a professional exterminator. Consider a HEPA filter for the room in which the pet is primarily kept. If you’re unable to keep your allergies at bay with these measures, I recommend you try an over-the-counter option, such as daily salt water irrigation (Neti-Pot) combined with a steroidal nose spray (Flonase), or allergy medications, such as second generation antihistamines (Claritin and Zyrtec). First generation antihistamines (Benadryl) should be reserved for severe cases and should not be used as a long-term solution. If you’ve exhausted these measures and allergies are still impacting your daily life, or if you’re experiencing severe coughing, wheezing or shortness of breath, seek the help your physician. Specialized medication and testing may be for you. 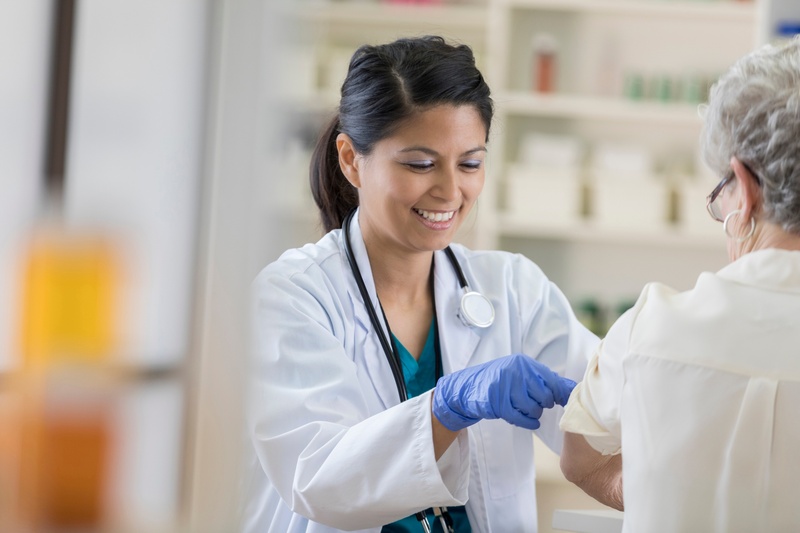 There are many misconceptions about the flu shot, but science and experience have proven that the influenza vaccine can reduce your risk of acquiring the flu; so you can rest assured that the flu shot is generally safe and effective. Let’s tackle a few of the most common myths about this often polarizing vaccine. It’s possible to get the flu shot, then get sick the next day; it’s ironic, but the shot didn’t cause this. If this has happened to you, it is likely that you were exposed to a virus before ever receiving the shot, or you were exposed to a virus that the shot does not protect you against. The vaccine cannot make you sick or give you the flu, though side effects like soreness, redness or swelling at the injection shot, headache or low-grade fevers do occur. The vaccine’s effects have been studied time and time again, and there is no proven correlation between the flu shot and other disease or illness. Weight loss, loose stools, infertility, joint pain, bloating, migraines—these are only some of the varied symptoms that can result from celiac disease. For those who suffer from this mysterious illness, a gluten-free diet can be life-changing, but there is little data to prove that the diet is beneficial for the general population. I would describe a gluten-free diet for the general population as a “fad” diet. It’s certainly healthy to reduce your intake of carbohydrates and accordingly consume more fruits, vegetables and lean meats, but barring celiac disease it isn’t necessary to scrub all gluten from your diet. Many celiac patients stumble on a gluten-free diet in desperation after years of living with gastrointestinal discomfort; others try the diet at the behest of their physician after diagnosis. For those with the disease the diet isn’t a fad, it is life altering. In fact, nearly all patients go into celiac remission after following the diet for one year. The problem is celiac disease is an uncommon disease with common symptoms, which explains why it is quite elusive to many health care providers. In my opinion, increased awareness, screening and testing accounts for the rising number of people diagnosed with the disease. If you have any of the following symptoms, or you have been suffering with unexplained gastrointestinal concerns, I recommend that you speak with your provider about testing options. Celiac disease is frequently associated with a variety of autoimmune or connective tissue disorders such as diabetes mellitus, hypothyroidism, ulcerative colitis, Crohn’s disease and dermatitis herpetiformis. If you also suffer from any of these diseases, it might be worth getting tested for Celiac’s. 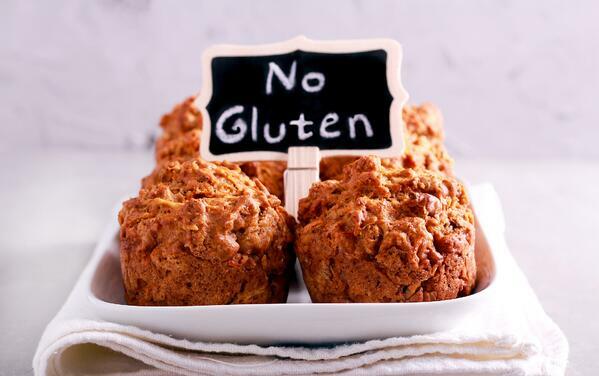 If you plan to go gluten free, regardless of your disease status, be sure to speak to a physician or registered dietitian to come up with a diet plan that is healthy for you. An apple a day may keep the doctor away. It might seem simple, but the truth is that living a more healthful lifestyle has been shown to reduce the risk of breast cancer, as well as many other cancers, regardless of your family history. Be sure to talk with your health care provider, especially when it comes to how your family history impacts your risk. However, it’s been shown that moving more and eating better has a positive impact on your health and overall lifetime risk of cancer. According to the American Institute for Cancer Research, about 33 percent of breast cancer cases can potentially be prevented with some basic lifestyle changes. Maintaining a healthy weight puts you at a lower risk for developing cancer, diabetes, heart disease and high blood pressure. If you are overweight, studies have shown that losing even a modest amount of weight (approximately seven percent of your body weight) can improve your health. Maintaining a BMI under 26, especially in post-menopausal women, has also been shown to reduce the risk of breast cancer. A small amount of exercise can add big results. Studies have shown that 150 minutes of exercise per week can impact weight loss. Try a new class, join a gym or simply go on a 10-minute walk after most of your meals. Find something that interests you so you’ll stick with it and start slowly to avoid injury. Eating a plant-based diet rich in fruits, nuts and vegetables can provide a variety of healthful antioxidants that have been shown to prevent cancer. Other foods offering cancer-reducing effects include soy, green tea, turmeric, ground flaxseed, the omega-3 fatty acids found in salmon, as well as fish oil, garlic and onions. In Asia, where soy consumption is much higher, the rates of breast cancer are much lower. It’s considered safe to consume one-to-two servings of soy per day by eating foods like tofu, edamame and protein bars. Although because soy can act as an estrogen in the body, there are different recommendations for those who have a family risk of estrogen-positive breast cancer. Check with your health care provider. Focus on eating to maintain for your long-term health. The American Cancer Society says to avoid eating processed meats high in the cancer-causing preservative sodium nitrite. They also suggest no more than 18 ounces of “red” meat per week (pork, beef and lamb) in your diet. Avoid or reduce your alcohol intake and increase your water intake. Alcohol is a proven carcinogen and contributes to weight gain. It’s recommended that women have no more than one drink per day and a maximum of two for men. If either side of your family has a history of breast cancer before the age of 50, male breast cancer or ovarian cancer, you may be a candidate for genetic testing and you should speak to your physician about getting tested. Exercise can also help older adults reduce the need for some medications, and may be as effective as prescriptions for some conditions. Paired with a healthy lifestyle, working out regularly can also reduce the risk of dementia. As you age, mind and body fitness are more important than ever. Keeping abreast of both can help you to maintain your independence and state-of-mind. The idea of starting a new regimen later in life can be daunting, but it can be accomplished in a few easy steps. Chair exercises are an easy way to exercise safely anywhere. Using a sturdy chair, work on standing up and sitting down. Begin by sitting up straight, toward the edge of the chair. While bending slightly forward at your hips, push your weight into your heels and stand up, then sit down slowly. Stretching exercises are important for maintaining and improving range of motion in the joints. Stretching does not need to be unpleasant. Gentle stretches performed in a chair or while standing can provide significant improvement in range of motion, balance and fall reduction—all keys to preventing cognitive decline. Group workout programs are a good place to start for anyone new to exercise. Groups for older adults, like Chesapeake Regional’s Silver Sneakers program, provide exercise and social interaction—which can also aid your mental wellbeing. Exercise, and a positive attitude, can help to reduce stress. Stress can cause an over-secretion of stress hormones that negatively affect memory. By changing your attitude and your routine, you can take the weight off of your shoulders. A heart-healthy diet is also a brain-healthy diet. Damaged blood vessels, which supply the brain with blood, are linked to vascular dementia. Focus on reducing the amount of red meat in your diet and increasing your intake of fish, fruits, vegetables and whole grains. A little bit can go a long way. As long as you are on the move and keeping your brain active, your whole body—and your future independence—will benefit. Again, it is never too late to get started on a healthy path. However, if you start to notice changes in your memory, or someone you love is more forgetful than usual, it may be time to seek the guidance of a physician. You know to call 9-1-1 if you or a loved one suffers a life-threatening emergency or illness. But did you know that what you do before and after you make that call can be just as important as dialing those three numbers? Use this guide to find out how you can prepare for an emergency. Keep this information handy (by the telephone or on the refrigerator, for instance) and include contact information for your doctors and family members. Make sure caregivers, babysitters and others know where to find this information. It is also important to have a list of allergies and medications, including how much and how often each is taken. Just as important as having the patient’s medical history and medication list handy is deciding whether or not a call to 9-1-1 is truly necessary. 9-1-1 services are meant for patients who require rapid evaluation and transport. When 9-1-1 is called and it is not a true emergency, that ambulance and dispatcher are no longer available for someone who is having a true emergency like a heart attack or stroke. You Just Called 9-1-1. What’s Next? When a patient or family member calls 9-1-1, they will talk to a dispatcher who is trained to send emergency vehicles to patients and find out preliminary information that can be helpful to emergency personnel. In a choking victim, the operator may give advice on how to clear a victim’s airway, whether through the Heimlich Maneuver or another method. In a patient who is bleeding, the operator will give advice on how to control the bleeding, such as applying direct pressure until the ambulance arrives. In a patient whose heart has stopped, the operator might give instructions on how to perform CPR while waiting for the ambulance. Help is on the way, but don’t hang up the phone until the 91-1 operator tells you to do so. Families or patients can prepare for EMS’s arrival by unlocking doors, grabbing the patient’s medication list and clearing the area from unnecessary bystanders. If the patient is a minor, or an elderly or handicapped person, make sure an adult or person with power of attorney is available to authorize care. Furthermore, if there is information regarding care that the patient, or their medical power of attorney, does not want to have rendered, such as Do Not Resuscitate status, that information should be readily available to EMS personnel upon their arrival. While nobody ever hopes to need 9-1-1, it helps to be prepared in case that day comes. In the event of an emergency, a few minutes can make all the difference. Food poisoning may also be lurking around the corner. Here are a few easy food handling steps you can take to keep your summertime al fresco meals healthy and fun! Wash your hands and all surfaces that touch meat. Do not wash meat, as it can splash bacteria throughout your kitchen. Clean cutting boards by washing them in hot, soapy water after each use, then rinse with clear water or use a dishwasher, unless the board is laminated. Air dry or pat dry with clean paper towels. To sanitize cutting boards, make a solution with one tablespoon of unscented liquid chlorine bleach per gallon of water. Flood the surface with the bleach solution, let it stand for a few minutes, rinse with clear water, and air dry or pat dry with clean paper towels. Keep your fruit, poultry, fish and meat separate at all times, including while your foods are in the grocery cart, bags and refrigerator. While prepping your food, make sure you use separate cutting boards for each food item. Use a thermometer to ensure food is cooked properly. A free food temperature chart is available on both the CDC and USDA’s websites. Put leftovers in shallow containers and refrigerate immediately. Do not thaw frozen meats on the counter top. Instead, submerge them in cold water, ensuring that you refill with cold water every 30 minutes, or place in the refrigerator for a few days. Keeping the four steps above in mind, it’s also important to avoid foods that look or taste unusual and to thoroughly reheat leftovers. From norovirus to salmonella, there are many viruses that cause food poisoning, and the symptoms are similar for each strain. Gastroenteritis, more commonly known as the stomach flu, can be classified by symptoms such as nausea, vomiting, diarrhea and abdominal cramps. To prevent the spread of disease, wash your hands frequently, and limit the number of people you come in contact with. If your symptoms do not go away within a few days, call your health care provider. A trip to the Emergency Department is only absolutely necessary if you feel dehydrated, have a high fever, yellow eyes or skin, blood in your vomit or stool, or if you are experiencing sharp pain.